Champagne and I have long been friends, and when I say Champagne I do use the word loosely whilst reflecting on all I have learned in my wine studies. I love a good glass of bubbles and in my world every day is an occasion to celebrate with bubbles! As I have spent more time “studying” wine my tastes have changed and I have come to adore the biscuity, yeast characteristics of aged sparkling wine sitting alongside the mouth watering acidity of all those citrus and green fruits. Only having 48 hours in Épernay meant I packed in as much as possible and with the endless generosity of the Champenois I visited Perrier-Jouët, Champagne Lenoble, Besserat de Bellefon, Champagne Salon Delamotte and Champagne Gosset as well as squeezing in a meal at the excellent Les Avisés restaurant in Avize just southeast of Épernay. December in Épernay is bitterly cold and on my first morning being greeted by minus two degrees Celsius I could only motivate myself to get out of bed by thinking of the visits I had planned. 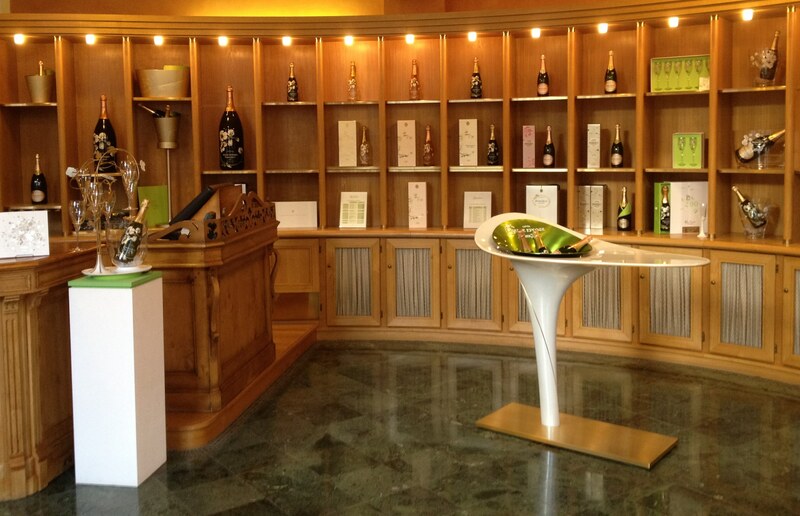 First stop was Perrier-Jouët on Avenue de Champagne. 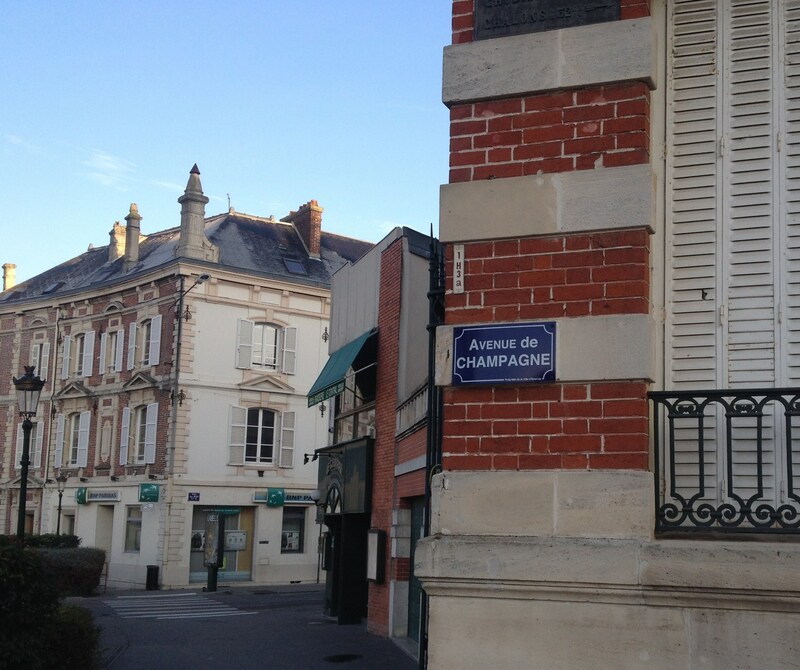 This was my first visit to the Champagne region and I must confess to having a wee moment. Standing atop thousands of slumbering bottles of bubbles resting in cool damp chalk caves beneath the Avenue de Champagne was quite a thought and I was definitely ready for my journey to begin! That morning my guide for Perrier-Jouët was Ivan Falletta, originally trained in architecture in Italy, now working with Perrier-Jouët and the perfect guide as we moved from the official Champagne House of Perrier-Jouët at 24 Avenue de Champagne to the caves under the road and up into the Maison Belle Époque, the private chateau of the family. 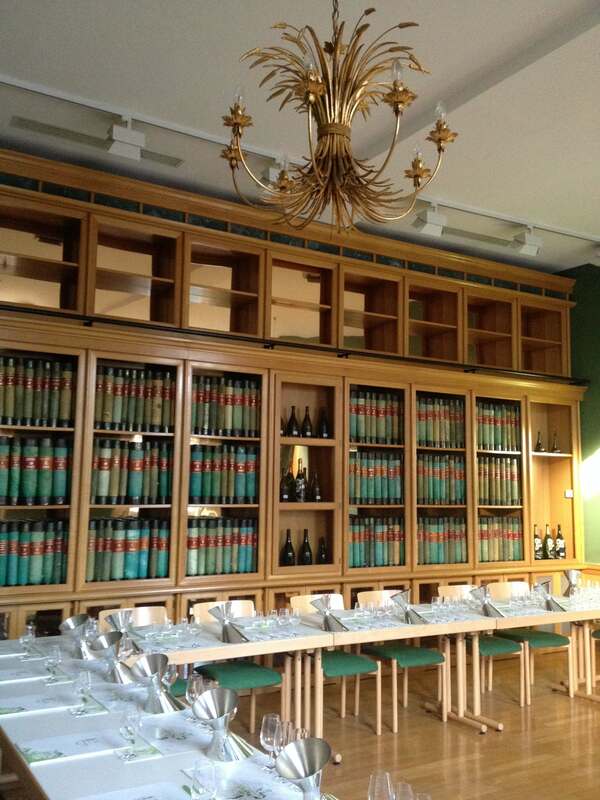 The first room we visited was the trade room, which holds a library of all orders taken by Perrier-Jouët as far back as the early nineteenth century when the business came into existence. 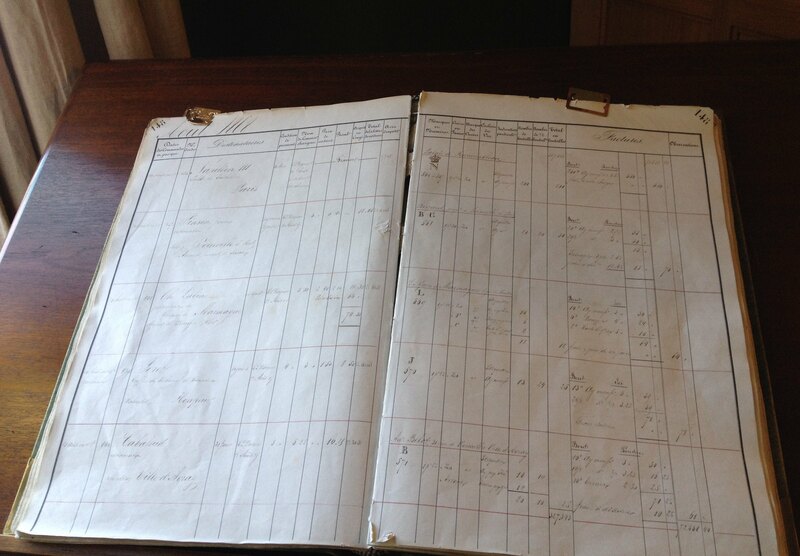 The history geek in me was thrilled to be able to see first hand an order from Napoleon III for his allocation of Perrier-Jouët as it was recorded at the time. Both trade and public tastings are held in this room and over the years tastings of key vintages have taken place, including a tasting in the not too distance past of a bottle from 1825! I was assured that although the bubbles had long since disappeared, the cellar master had confirmed the fruit profile was still discernable. Perrier-Jouët’s association with the arts is a long and fruitful one and in this space there are several examples of some of the more modern commissions, many of which are inspired by those famous Japanese anemones (you can read more about that design in an earlier article). 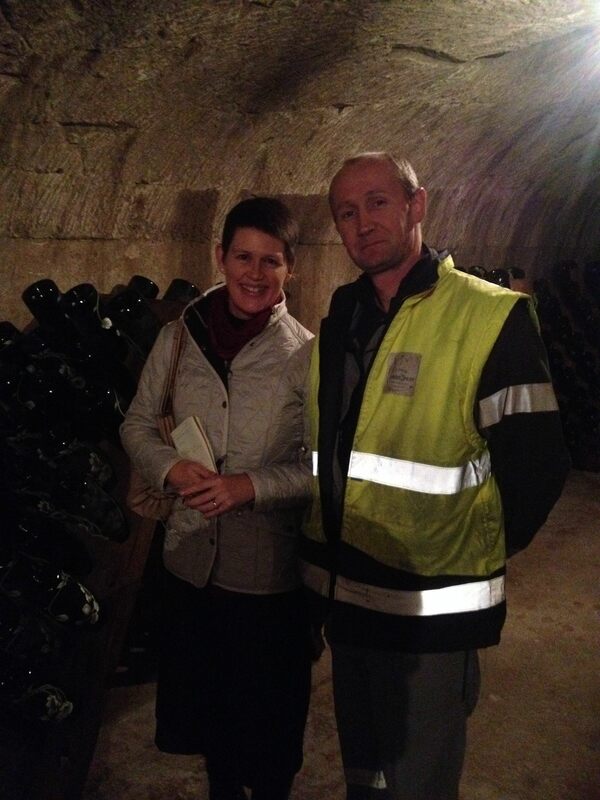 Making our way through the caves we ran into the Remueur or Riddler for Perrier-Jouët. With today’s technology only Magnums and Jeroboams are riddled by hand but that didn’t diminish my thrill at meeting the man responsible for it all at Perrier-Jouët who very kindly let me take a picture with him – much to his surprise and amusement. Riddling is the process of turning the bottles of Champagne at regular intervals until the lees, or dead yeast cells, have collected at the neck of the bottle. At Perrier-Jouët, rather than freeze the neck of the bottle, the Remueur angles the neck of the bottle downwards then quickly removes the crown seal allowing the lees to escape before swiftly moving the bottle to face upwards to add the dosage, the cork and the cage (you can read more about the Champagne production process here). 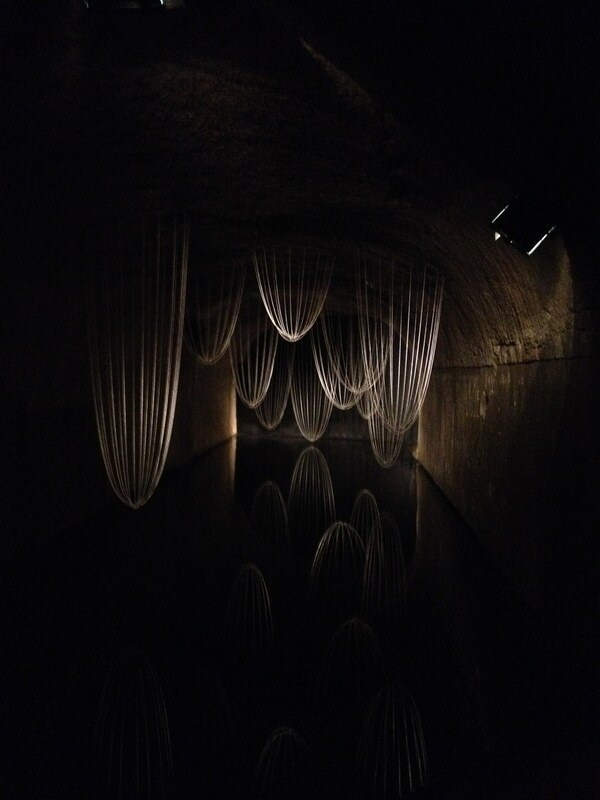 As we walked through the caves to Maison Belle Époque we came to a breathtaking piece of art, Lost Time. Gaudí’s Sagrada Famila inspired the installation by Anglo-Dutch design duo, Glithero. By positioning the beaded strings that create the domes above water, the reflections lead the viewer to think of the bubbles in Champagne or dew drops in the damp cellars that house the ageing bottles, thus creating a link to the concepts of timelessness and heritage. Arriving at Maison Belle Époque on the opposite side of the road we are greeted with what appeared to be a constantly filled glass of the Belle Époque 2006, whilst we toured the extensive art collection housed there. The space continues to be used for events and contains one of the largest collections of Art Nouveau outside the collection at the Musé de l’Ecole de Nancy. Moving from room to room and sipping delicious flavours of fresh green apples, brioche, tarte tatin, buttered toast and almond with a delicate waft of jasmine flowers really did start my first visit to Épernay in the most extraordinary way! Sounds like a great visit! Did they give a reason why they don’t freeze the neck during disgorgement? Here you can find a video where they talk about the le “dégorgement à la volée” http://www.youtube.com/watch?v=8JkCrYs98xU. Thanks Ivan – good to see it in action! After asking the question as to why producers choose this in a couple of different forums the responses suggest it is down to tradition and cost – very interesting. 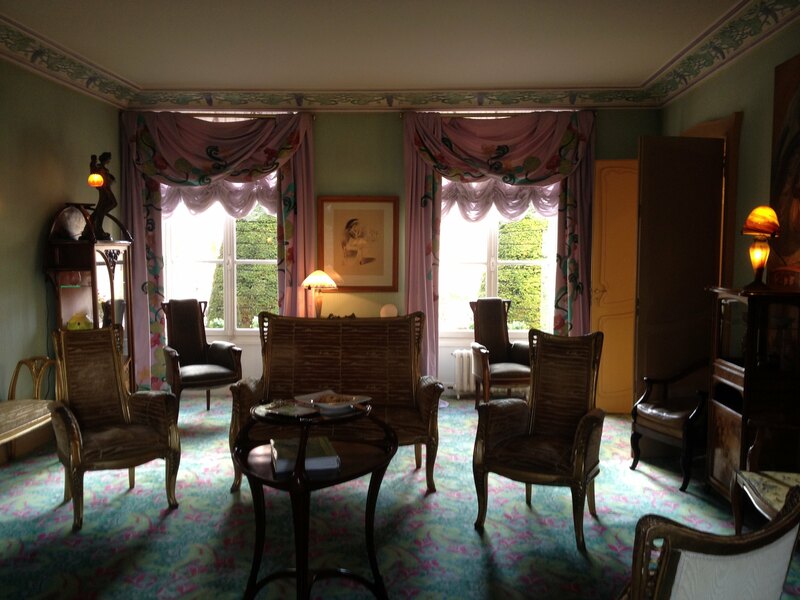 Hi Chelsea – unfortunately visits to PJ are restricted to members of the trade and private guests. If you do work in the industry perhaps contact your PJ rep to see if they can help you.